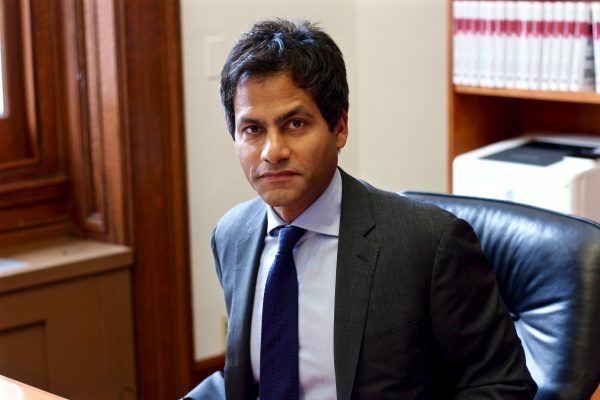 TORONTO, Tuesday, October 16, 2018 – Jameel Jaffer, inaugural director of the Knight First Amendment Institute at Columbia University in New York City, will deliver the ‘Or ‘Emet Lecture at York University’s Osgoode Hall Law School on “Digital Journalism and the New Public Square” on Thursday, October 18, 2018 at 12:30 p.m. in Room 2027. What we once called the “public square” is now controlled to a large extent by social media companies and other transnational private corporations which have an immense, if poorly understood, influence on who can speak, what can be said, and what speech gets heard, Jaffer contends. Because these corporations shape public discourse (and thereby shape our societies), we should recognize that research and journalism that focus on them is of special social value, he says. The ‘Or ‘Emet Lecture is presented annually by Osgoode’s Jack & Mae Nathanson Centre on Transnational Human Rights, Crime and Security, with the assistance of the ‘Or ‘Emet Fund. The Fund, which was established in 1976, seeks to promote through public discussion, research and scholarly writing, public and professional appreciation of the significance of religion, ethics, culture and history in the development of the legal system. ‘Or ‘Emet means the light of truth. Jaffer previously served as deputy legal director at the American Civil Liberties Union, where he oversaw the organization’s work on free speech, privacy, technology, national security, and international human rights. He has argued civil liberties cases in multiple appeals courts as well as the U.S. Supreme Court and has testified many times before federal agencies and the U.S. Congress. While at the ACLU, he led or co-led litigation teams that compelled the Bush administration to disclose the “torture memos,” compelled the Obama administration to disclose the “drone memos,” and compelled the National Security Agency to abandon its dragnet surveillance of Americans’ call records. He also played a major part in the ACLU’s decision to take on the representation of Edward Snowden. His recent writing has appeared in the New York Times, the Washington Post, the Los Angeles Times, the Guardian, and the Yale Law Journal Forum. He is an executive editor of Just Security, a national security blog, and his most recent book, The Drone Memos, was published by The New Press in the fall of 2016. He is a graduate of Williams College, Cambridge University, and Harvard Law School. Early in his legal career, he served as a law clerk to Hon. Amalya L. Kearse of the U.S. Court of Appeals for the Second Circuit, and then to Rt. Hon. Beverley McLachlin, Chief Justice of Canada.